The surf at Playa Colorado Beach is WORLD CLASS. Since this beach and surf is only accessible to the guests and owners at Hacienda Iguana Development or by the few lucky surfers who pay to get dropped off by boat, it remains pristine and unspoiled. This 1 1/2 mile private beach at Hacienda Iguana offers a variety of surf spots including reef and many sandbars up and down the beach. 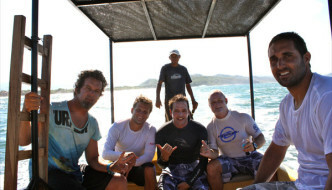 This gives each surfer with their own abilities the option to find their special wave and have fun on any given day. 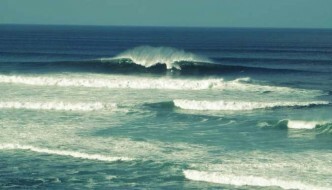 Playa Colorado is one of the most consistent waves in the area that offers surfing all year long. The surf is the biggest and best during the Spring, Summer and beginning of Fall months (March-October). During this time the south swells are the strongest and the water and weather temperatures are always warm. 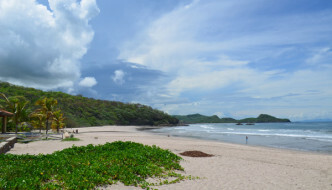 Playa Colorado beach is great for families, surfers and beach lovers alike. If the surf is too big and more hollow than you prefer you can take a 15 minute walk up the beach and find more playful waves at Panga Drops. Panga Drops is a good peak that offers long lefts and rights making it suitable for surfers of all levels.